As a parent, you must often juggle the requirements of an activity with the needs of your family. This prospect can become particularly daunting in situations where the task is inherently complicated — especially when you factor in your parental responsibilities. Many of the common reasons why homeowners hire skip bins fall into this category. For example, renovations, decluttering and moving are all difficult multi-step processes that can become even trickier when you must account for the needs, wants and safety of children. In this blog, we provide six simple tips to help you keep your children safe around a hired skip bin. Skip bins often represent a climbing hazard for children because kids want to see what’s inside the bin, but they may not know how or be able to open the access door themselves. To discourage climbing, avoid stacking any items such as large furniture near the bin. If the bin’s location and use allow, consider erecting a temporary fence to make the area more difficult for your children to get into unsupervised. If you have older children, then hazard tape may also provide a similar safeguard. Many children are more willing to accept new rules when those restrictions are explained. If possible before your project begins, take your children out to the skip bin and let them throw away some items. Explain that many heavy, sharp and unstable items will go in the bin, which is why they shouldn’t play in or around it. If you have friends and family or a contractor and crew coming to your property to work on a specific project, then take a moment to introduce your children to each of the workers. Workers should know how many children will be at your home during work hours — including any children that you take care of for someone else. This knowledge enables the adults to keep track of the kids when the children are in the work area, and it reduces the risk of a child being bumped into during work. While your discussion with your children should help keep them out of the bin, you should also conscientiously follow all regulations and best practices when filling the bin. For example, you should not pile items higher than the edge of the bin because this encourages climbing and can pique the interest of a passing child. If you take on a larger project, then you may hire a skip bin that has an access door on the front or side instead of on the top. This door can prove highly convenient for you and the other adult workers, but it could potentially let your child into the bin unnoticed where they could face lacerations, falls and other injuries. Supervise your children when the access door is open and close the door when you finish work for the day. If necessary, you may need to install a temporary lock on this access door to keep rebellious or particularly stubborn children out. Ensure that other adult workers know this end-of-day procedure as well. Use these guidelines to ensure that no matter how your current project turns out, the ones you care about the most are protected during the process. 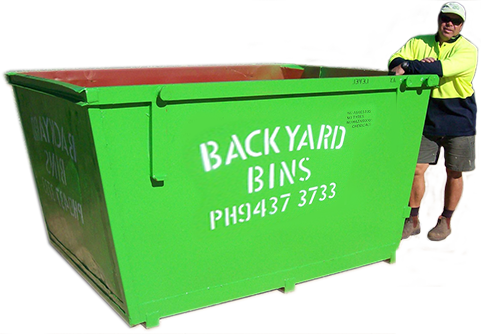 For flexible skip bin hire options that are ideal for all your domestic waste disposal needs, trust our team at Backyard Bins.